Getting into Bahrain was easy. Fill out a form, wait a couple of minutes, pay $15, that's it. After the ordeal in Kuwait, it was refreshing to breeze through immigration in Bahrain. I had booked a limo for transportation to and from the hotel through Auto World Drive. That didn't work well. The drive from the airport to the hotel was fine, the driver was waiting for me at the airport. But the drive from the hotel to the airport did not work, the driver didn't show up, I had to take a taxi. I cannot recommend this company. 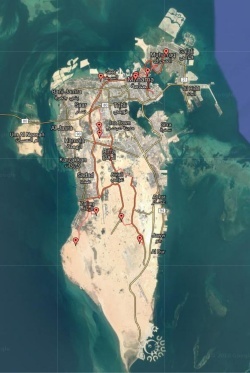 I had booked one private tour in Bahrain through a tour organizer "Visit Bahrain" and had planned to visit the Al Areen Wildlife Park on the second day by taking a taxi. At the appointed time for the tour, nobody showed up. I contacted the tour company and was told that there was a system error and my tour was lost. But they could make the tour on the next day, which worked for me. I organized a car from the hotel to visit the wildlife park on the first day. On the organized tour I saw basically all of Bahrain. The most interesting sites for me where the remnants of the Dilmun civilization. I saw the remnants of a Dilmun city, a royal burial mound and an area with hundreds of smaller burial mounds, all from the early Dilmun period, 2200 BCE - 1750 BCE. Bahrain (like Kuwait and Qatar) is fairly expensive. Traffic is very heavy around the city. Like Kuwait and Qatar, the city is full of exotic looking skyscrapers. All of that has been built in the last 15 years or so. The city is safe to visit, it is like any metropolitan city. 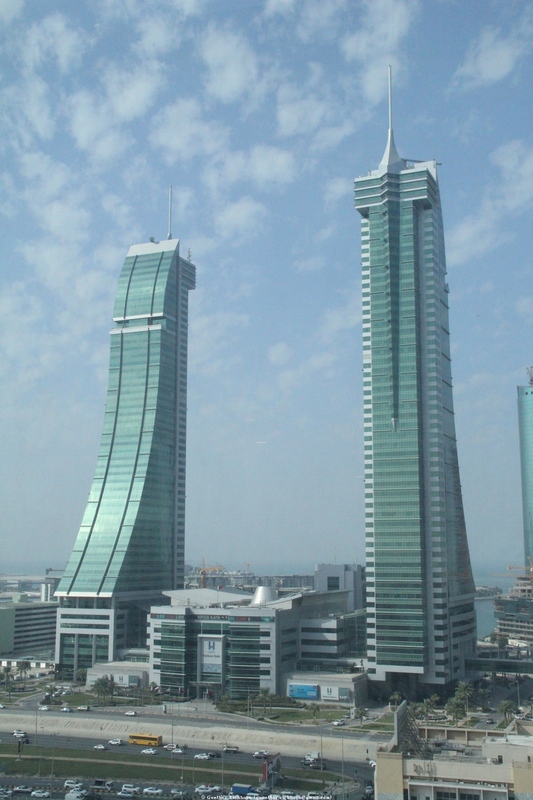 Bahrain is a rich country because of the oil. All the labor is done by foreigners, the Bahrainies don't do regular work. They live separate from the guest workers. I don't think I saw any real Bahrainies while I was there. 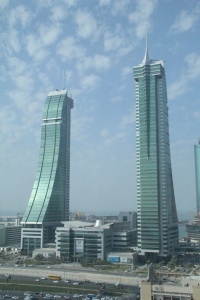 There are no taxes in Bahrain, construction, health care, schools, etc are covered from oil revenue. Bahrainies make up only about 50% of the population, the other half are migrant workers from countries like India, Pakistan, the Philippines, etc.